Long time ago, during the communist era in my native Bulgaria, all we knew about Bermuda were the terrifying stories about the Bermuda Triangle. I still remember hearing those stories about sunken ships, crashed planes and people mysteriously disappearing there. The Bermuda Triangle is a section, located off the South-Eastern coast of USA in the Atlantic Ocean and it’s bounded by Bermuda, Florida and Puerto Rico. Each side of the Triangle, also known as the Devil’s Triangle, is about 1000 miles long. Within that section of water, compasses act strangely. The mysteries of the Triangle have existed since the time of Christopher Columbus and scientists still haven’t come up with a clear explanation. 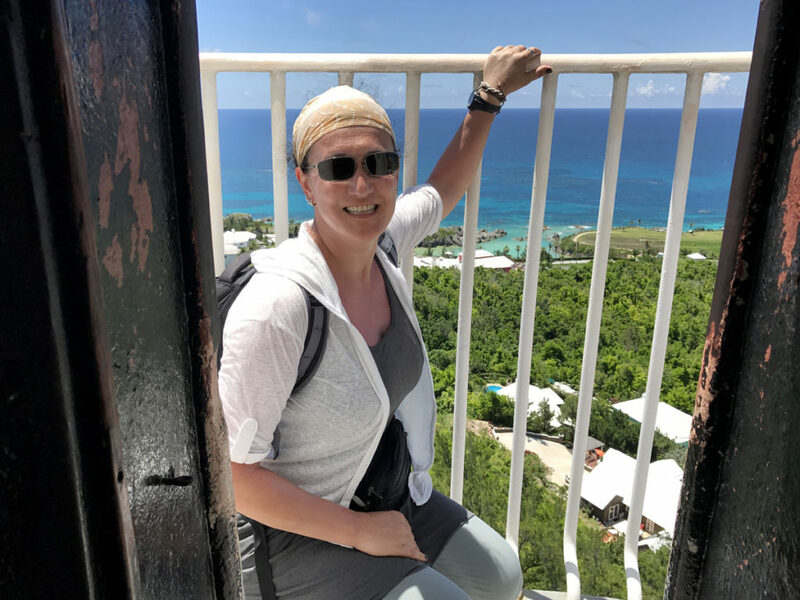 30 years later, after the communist era, I got a chance to visit Bermuda and to learn more about it, different than the dissapearances in the Bermuda Triangle. 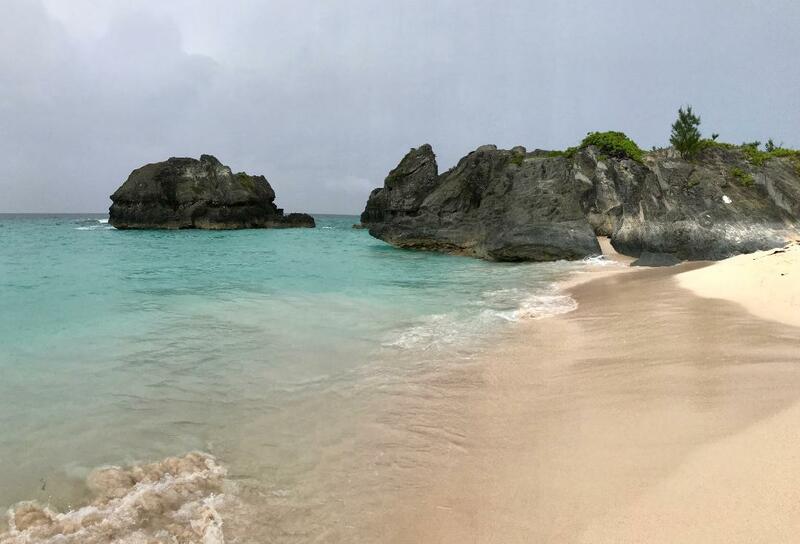 Bermuda is known as one of the most expensive destinations in the world. 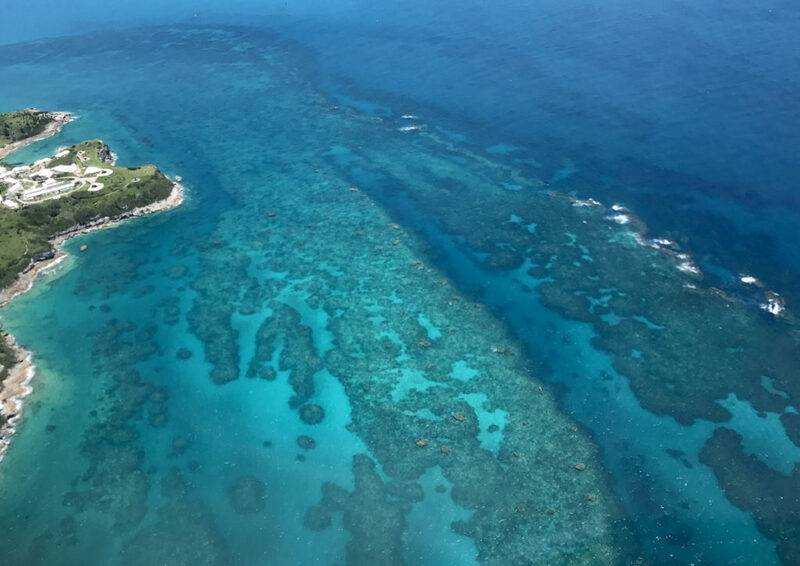 By booking a short 4-day trip, I was hoping to get a taste of the island and to find out if it’s possible to do such a trip on a budget. My entire trip cost me around $500. 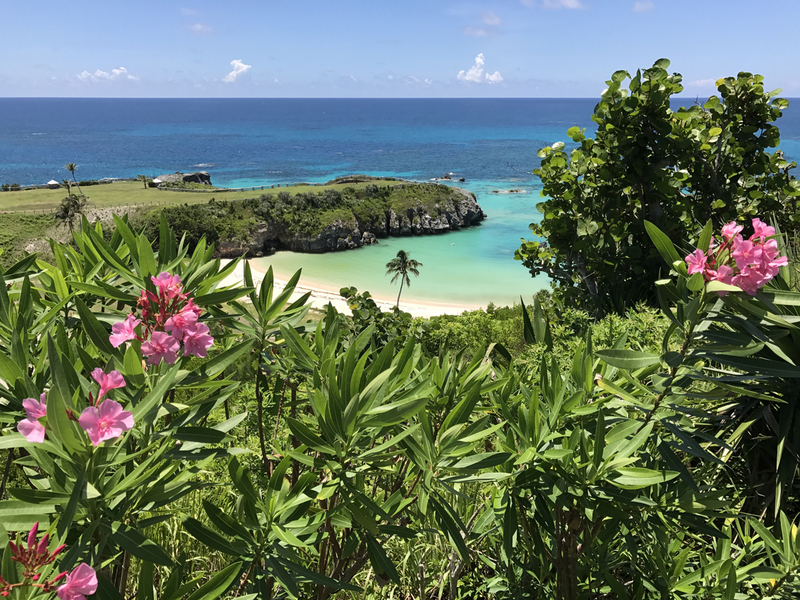 Yes, it is possible to visit Bermuda on a budget. The tourist season in this archipelago starts May till October, when it’s warm and sunny. Bermuda is not in the Caribbean so there isn’t a rainy season. It can rain any time. 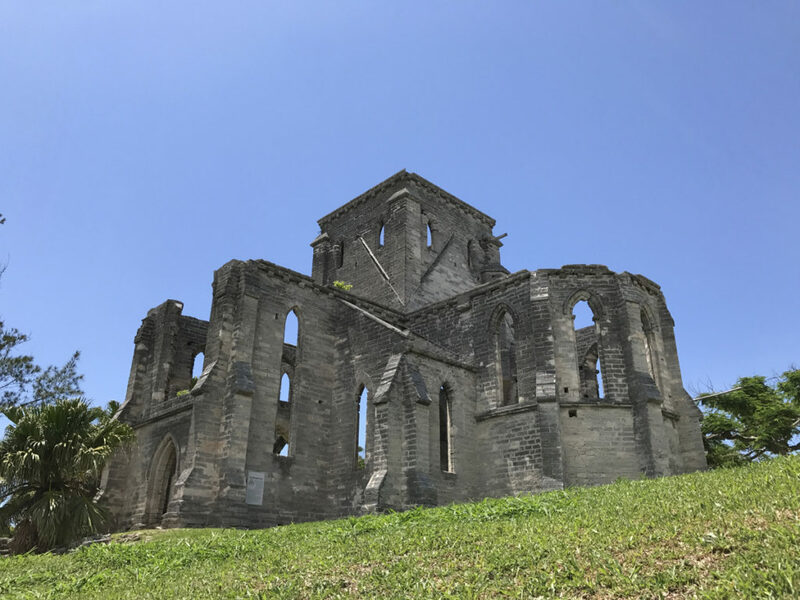 I visited Bermuda in the month of July. On my first day there, I headed to Warwick Long Bay and Jobson Cove beaches, when a heavy rain started falling. I had to look for a place to hide under the trees, since the rain continued to pour for over an hour. 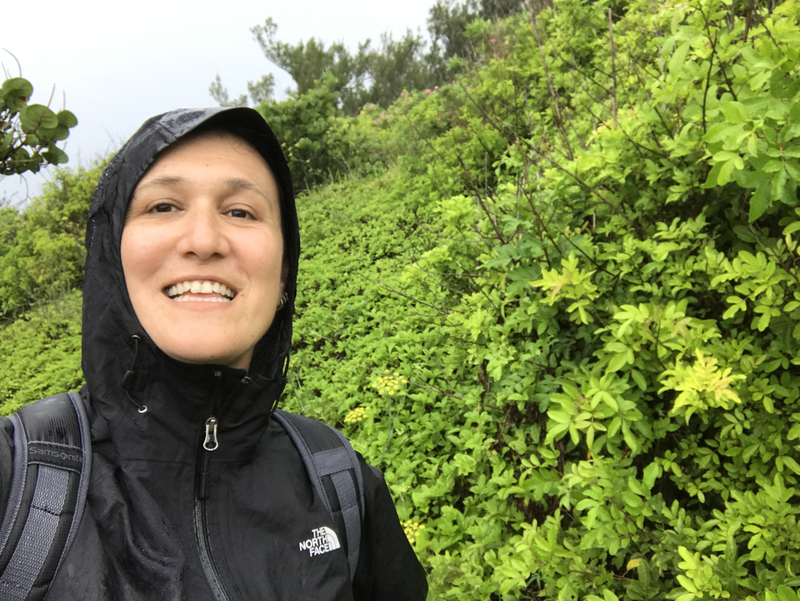 It’s a great idea to put your rain jacket and backpack rain cover in your day back, especially if you are using public transportation and walking a lot. I was really glad I had both of them with me. Keep in mind that while the weather in one part of the archipelago might be bad, it can be sunny in other areas. Don’t get discouraged by the rain, just be prepared. 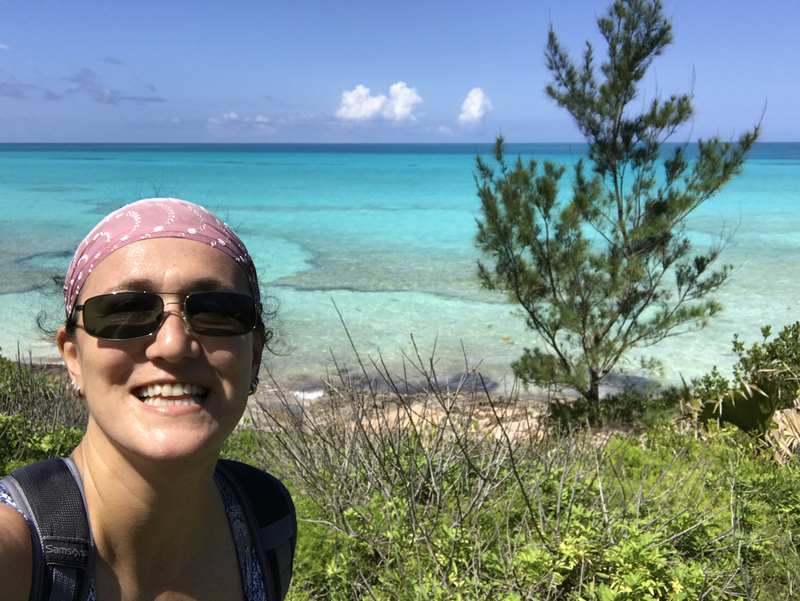 During the next two days of my Bermuda visit, I enjoyed a perfect sunny weather! Bermuda is only 2-hour flight from New York’s JFK and most cities on the East Coast, which makes it a perfect weekend gateway. Bermuda is a British island territory in the North Atlantic Ocean. The archipelago is about 24 mi (40 km) long and less than 1 mi (1.6 km) wide. Bermuda is divided into 9 parishes (districts). 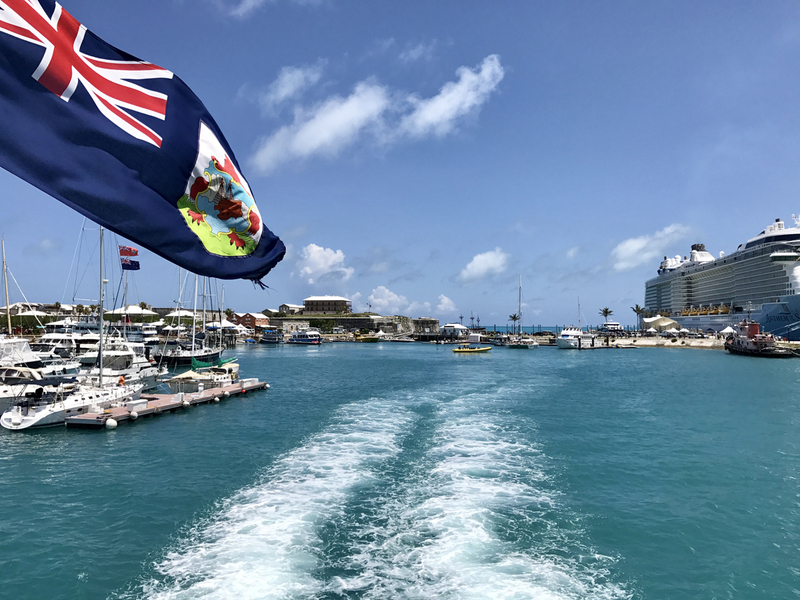 There are 3 most important places in the island – Hamilton City, Royal Naval Dockyard (major cruise port) and St. George (historical town on the east). 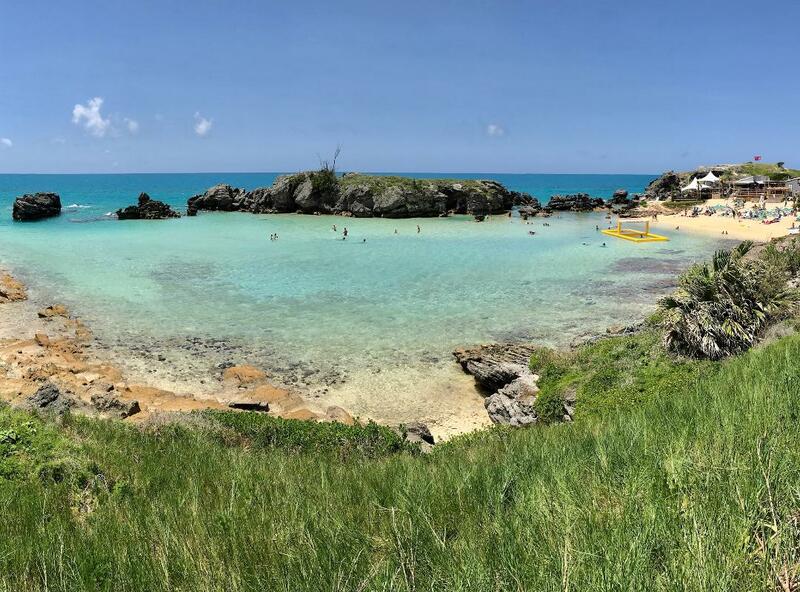 My round trip to Bermuda cost me only $120, since I used 10,600 JetBlue bonus points. I earned them by applying for their JetBlue Plus Credit Card (spend $1,000 for the first 3 months, pay $99 annual fee and earn 40,000 bonus point, which are good for at least 2 free flights to the Caribbean). To learn even more, you can read my other article How to Earn Air Miles and Points for Free Flights. As a tourist, you can’t rent a regular car in Bermuda. Due to the small size of the island and the narrow roads, only locals are allowed to drive a car. Visitors can explore the area by bus, ferry, bike, scooter or taxi. Taxis are pretty expensive. It cost me $50 from the airport to my AirBnb. If you choose to rent a scooter, be very careful since there are plenty of scooter accidents happening in the area. I personally witnessed one and it wasn’t good. I decided to use the bus & ferry public transportation system to get around. I was really pleased with my choice. I purchased an unlimited 2-day bus & ferry pass, which cost me $32. Fabulous ferry ride from Royal Naval Dockyard to Hamilton! Recently, an electric car rental company was founded in Bermuda, offering mini electric cars. Their rates are definitely not budget friendly ($129/day), however I still decided to mention them as an option for someone who might be interested. As usual, I booked my acoomodation with AirBnB. I was able to find a lodging, located in Warwick Parish for the rate of $75/night. The space was a basement area of a house, positioned as an independent apartment, consisting of kitchen/living room, bedroom and bathroom. It didn’t have an A/C. Each room had ceiling fans and extra floor fan in the bedroom. The kitchen was equipped with a fridge and a range, giving you an opportunity to prepare your own meals and save money on eating out. You can check out this accomodation and read my review there. If you’ve never used AirBnb before, you can accept my invite to join and get $40 off towards your first trip. 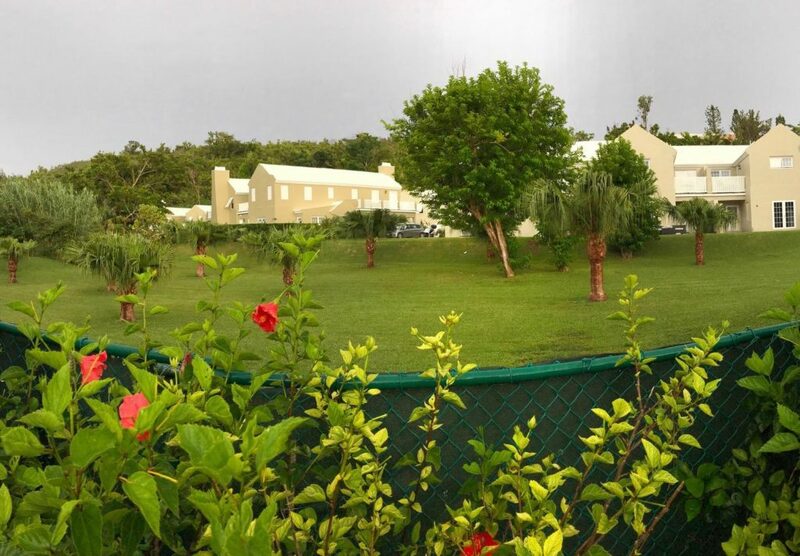 Keep in mind that the whistling tree frogs in Bermuda are pretty loud singing in the night, so don’t forget to bring ear plugs if you are staying in a guest house. Also, tourists staying in AirBnb accommodations are encouraged to take military style showers to preserve water because of lack of fresh-water springs, rivers and lakes in the archipelago. 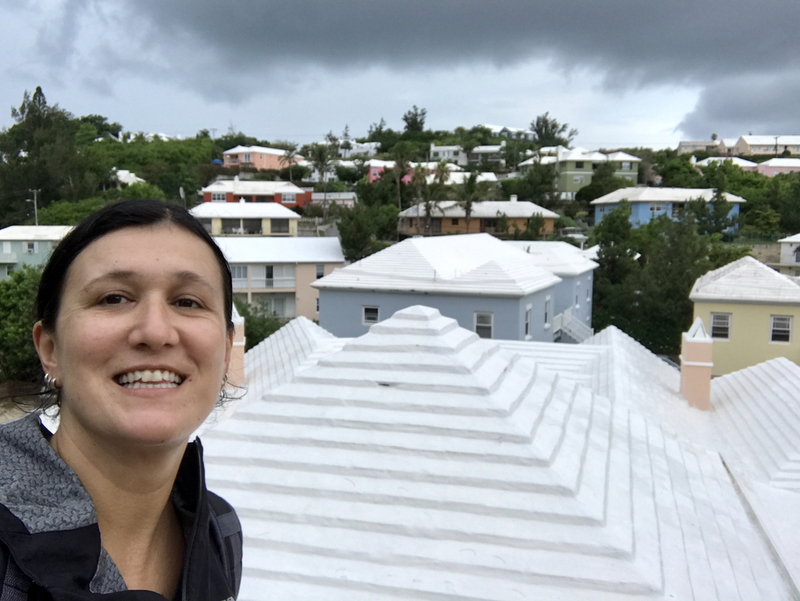 Bermudians harvest rain water, which is filtered before drinking. Bermuda’s white rooftops are used to collect the drinking water. Bermudian Dollar is the official currency and it’s set at the same rate as the US dollar. Paying with credit cards it’s not a problem in Bermuda. You can pay with US dollars everywhere. I didn’t eat out even one time while in Bermuda. This is the first destination I’ve ever done that. I know, it sounds insane! Let me explain why I did that though. On such a short trip (4 days/3 nights), traveling on a budget and using public transportation, you must choose your priorities. If you start going to various restaurants, that will cut your limited time to do other activities. I made a choice to prepare my own sandwiches for the day, load my day pack with water and spend the days walking, hiking and visiting as many beaches and sites as I can! I can still give you some suggestions for places to eat, based on recommendations of local people I met during my stay. Too bad, I couldn’t make it to any of those places and to give you my own feedback. Woody’s – locals’ spot and budget restaurant in Somerset Village. Selected as one of the top five restaurants in Bermuda for fish sandwiches. Island Cuisine – locals’ spot and budget restaurant in Southampton. It’s a family run business. Rosa’s Cantina – authentic Mexican restaurant, facing the Hamilton Harbor. Walk along the seaside road for the best scenic views of Bermuda’s world famous beaches! Bring plenty of water, snacks and sunscreen in your backpack. Start from Elbow Beach heading towards Warwick Longbay Beach & Jobson Cove, Horseshoe Bay and walk all the way down until you reach Church Bay. If you get tired, you can always get on the bus in between the different beaches. You should explore them all and decide which one works the best for your taste. If you plan to spend the day at any of those secluded beaches without amenities, you should come prepared with a beach umbrella and a cooler bag (water, drinks and food). The sun rays are extremely strong in Bermuda and without a shade, you’ll be overheated. 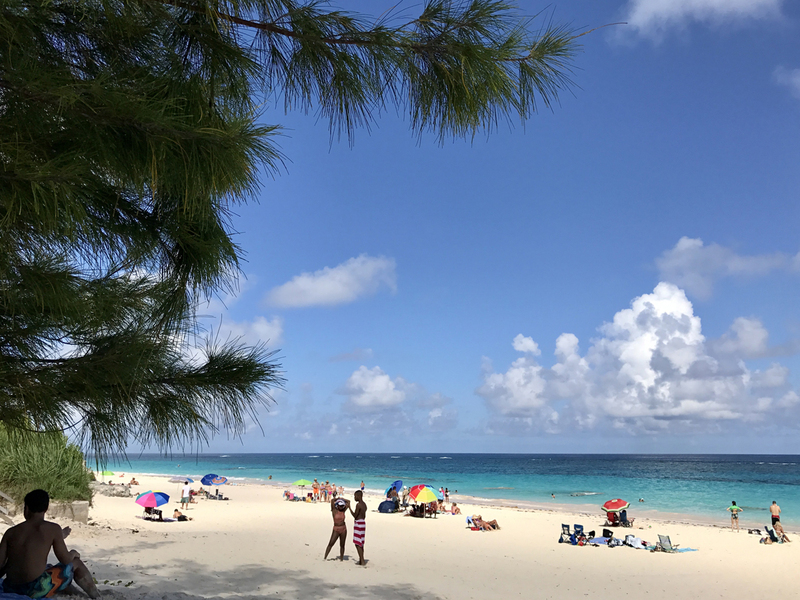 You can purchase a beach umbrella from Gorham’s or Masters stores in Bermuda and use it for your entire stay. It’s significantly cheaper than renting them. Another option is to buy a light weight Beach Shade from Amazon before heading to Bermuda. 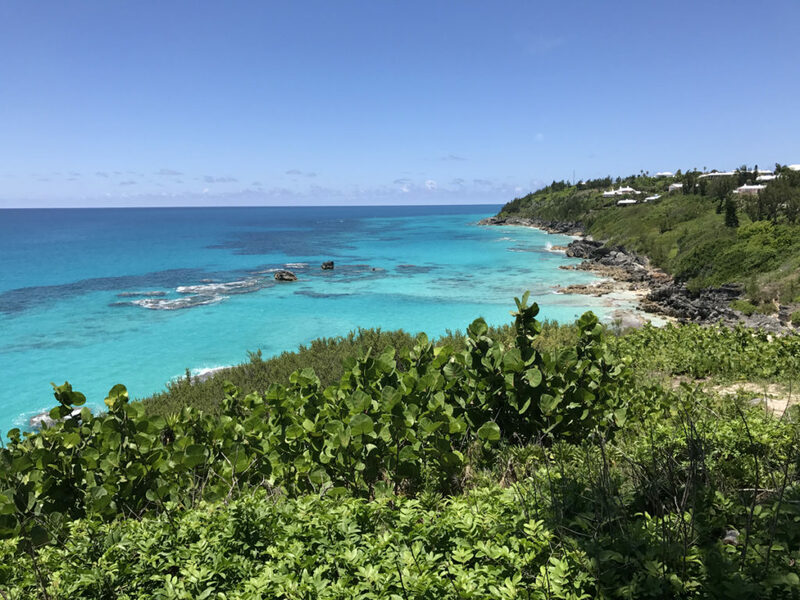 Bermuda’s scenic South Shore Beaches as seen from the South Road! Elbow Bay is a stunning beach if you go there well prepared with your own umbrella, snacks, drinks and plenty of water. Otherwise, renting a beach umbrella with 2 chairs from the Elbow Beach Resort, will cost you between $75-$100 for a day. Warwick Long Bay & Jobson Cove are so pretty, however they don’t have any amenities. Even if you don’t end up staying here, it’s still so worth to visit them! 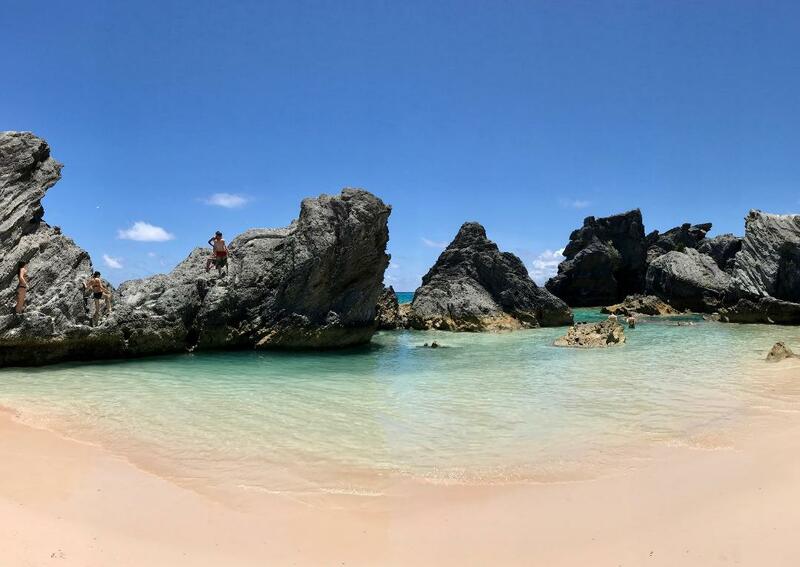 Horseshoe Bay is the most famous beach in Bermuda. It offers all amenities, however it’s too overcrowded and commercialized. If you want to escape the crowds, make a left turn and walk along the shore. There are several other South Shore uncrowded beaches to reach out of Horseshoe Bay. Again, go prepared with a shade, water and snacks. Church Bay is fantastic snorkeling spot. There aren’t any amenities and no any shade whatsoever. You should plan accodringly for a longer stay! 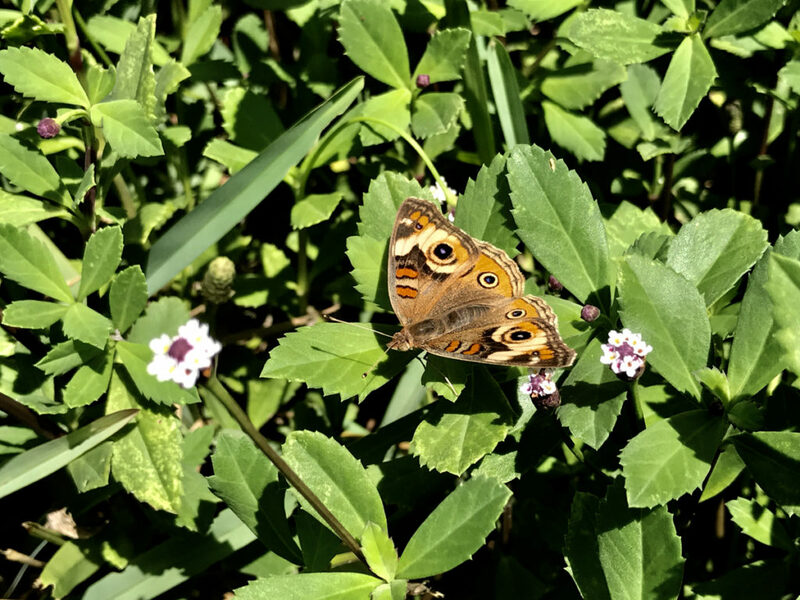 Get on bus route #7 (Hamilton-Dockyard) and go for a scenic short hike in Hog Bay Park. If you are not sure where to get off the bus, ask the bus driver! Follow the main trail down to the shoreline, leading you to Hog Bay Beach. Hog Bay is a tiny beach with no real space to sunbath, but at low tide you can enjoy swimming and snorkeling (check Bermuda’s tide chart). The water is crystal clear and even from the shore, I saw plenty of parrot fish swimming in there! 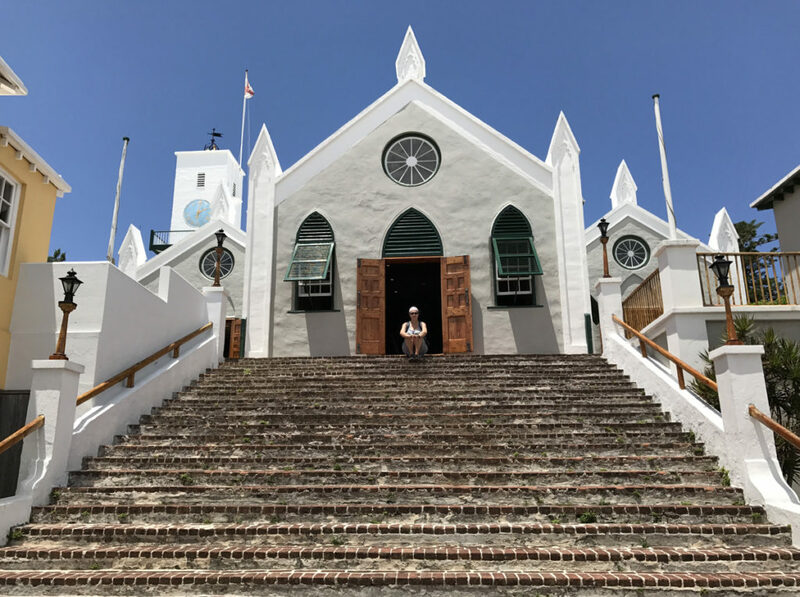 Take a day trip to the beautiful St. George’s Parish, wander around the area of St. Peter’s Church and spend the afternoon at Tobacco Bay Beach. 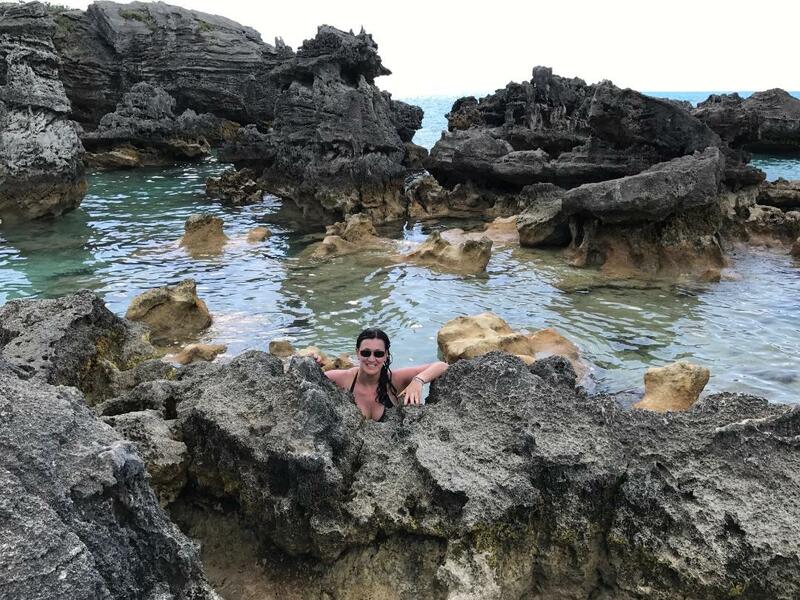 This spot offers fantastic scenery, calm water, snorkeling, restaurant & bar with decent prices, beach umbrella with 2 chairs ($38), and lots of fascinating rock formations on the coast, giving you perfect photo opportunities. To get on the top of this lighthouse, you should climb 185 steps. From the top balcony, you can enjoy amazing panoramic view of Bermuda and its shoreline. The ticket costs only $2.50 and you can purchase it from the gift shop at the lighthouse. The Gibbs’s Hill Lighthouse was built in 1846 to navigate the ships.